Now with 10 grams of total amino acids including 5 grams of BCAAs, Aminolytes® is the perfect blend of amino acids and electrolytes for helping people train harder then recover faster. 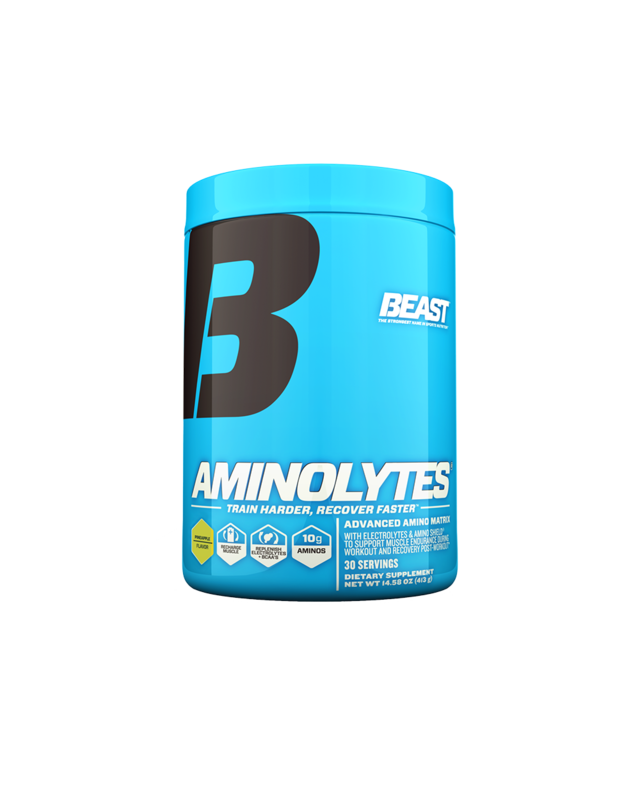 Used during and after a workout, Aminolytes® increases muscle endurance, accelerates muscle recovery and repair, and maximizes muscle growth. Formulated with the highest quality ingredients, Aminolytes® helps all athletes—professional or amateur—get big, strong, fit, and healthy.